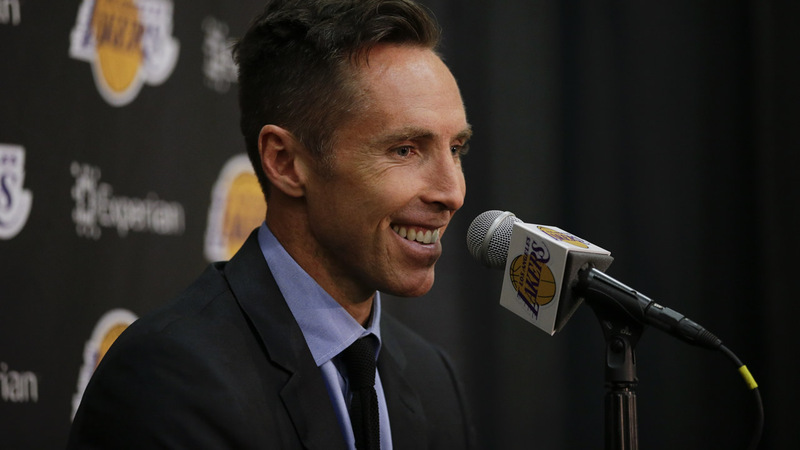 Los Angeles Lakers' Steve Nash smiles while speaking at a news conference, Tuesday, March 24, 2015, in El Segundo, Calif.
OAKLAND, Calif. (KGO) -- Two-time NBA MVP Steve Nash may be joining the Golden State Warriors as a coach. ESPN reports Nash is in advanced negotiations to be a part-time player development consultant with the team. The deal would make Nash an occasional tutor to the Golden State guards. Nash officially retired from the NBA back in march thanks in large part to a broken left leg he suffered in just his second game as a Los Angeles Lakers back in 2012.